Our Swaddling Clothes "store" is located in our Activity Center at 1325 Main Street in Keller. It is open on the second Saturday of each month, from 9:00 a.m. to noon. gifts of clothing, food, friendship, and the forgiving Word of God. How does “Swaddling Clothes” work? We assemble a collection of items associated with pregnancy and motherhood—maternity and baby clothes, diapers, formula, bottles, etc. Then, on the second Saturday of each month, we will host a “shopping day” where moms can look through our collection and take what they need, up to a certain number of items. The moms are encouraged to re-donate items they no longer need to provide for another family in like circumstances. We will work with Pregnancy Help4U, providing them a place to send their young clients in need of baby and maternity items. 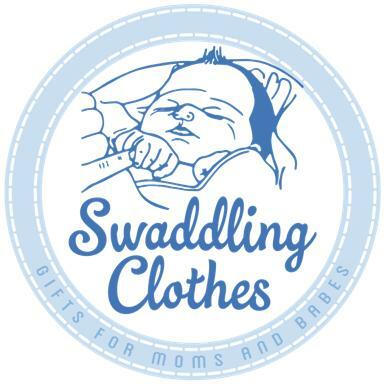 Donations are needed to open our Swaddling Clothes “store.” We will gladly accept all new or gently used clothing in excellent condition in sizes preemie/newborn through 5T, and maternity clothes in modern styles. (Please do not donate anything you would not wear or put on your child). We need diapers in all sizes, blankets, crib sheets, new baby bottles, formula, child-sized hangers, and other infant and toddler items. We are also looking for larger items like cribs (no drop-side), crib mattresses, unexpired car seats, strollers, etc. All items must be in good repair and clean. We cannot accept toys, expired car seats, or drop-side cribs. Donations can be left in the baby bassinet in the narthex. Later, tags will be posted on the wall by the bassinet to indicate items are needed. Monetary donations are also welcome! You can give to Swaddling Clothes through our new online giving system, or by writing a check to Messiah Lutheran Church, and writing “Swaddling Clothes” in the memo line. Donations of larger items (car seats, cribs) need to be inspected to make sure all parts are present and that they haven't expired. They need to be cleaned and placed in our storage room. Drivers will be needed to pick-up some larger items from donor homes.